Navigating the path through healthy eating choices can be a minefield, you can believe you are doing the right thing for your body only to discover what you’re eating actually isn’t that great for you. Join Ronsley Vaz as he talks with some of the most forward-thinking entrepreneurs, chefs, food experts and health conscious people around the world. He picks their brain about doing what they love, navigating the challenges and anxieties of a self-made business and how to think outside the box. If you’ve ever wanted to start your own business or are interested in knowing more about healthy choices with food this podcast is for you. On today’s episode of Bond Appetit we go all the way back to episode 1. Rebecca Thexton balances working in a bank, writing a blog and creating new vegetarian recipes. 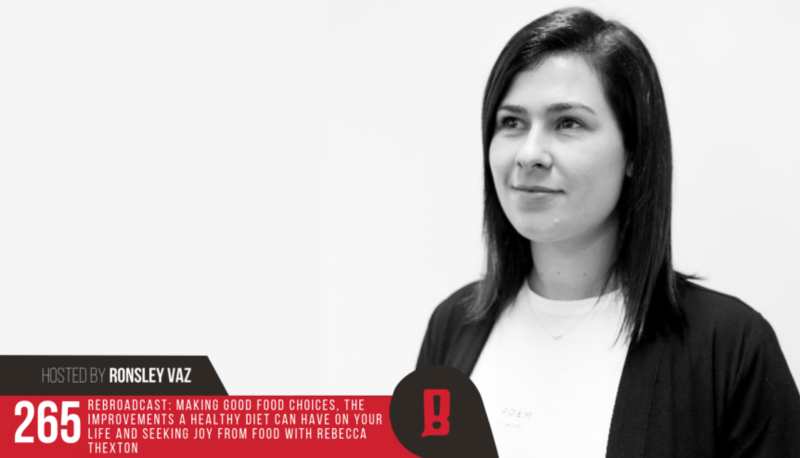 Bec believes that you can’t be happy if you’re not healthy, and that being healthy starts with eating well.